247Security Inc. provides video solutions for mobile applications. The company deploys video-focused solutions today that are built on 20 years of experience in computer design and manufacturing. Mobile video is evolving, and video systems are becoming much more than video recorders and need to be capable of integration with other onboard technologies. 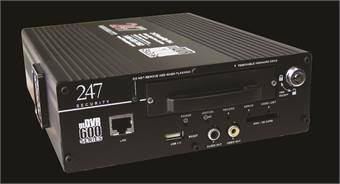 247Security is leading the field with design and engineering capabilities, designing custom solutions for use by integrators and fleet operators as they seek out video solutions that fit into a broader technology package. The company’s research has led to development of GPS and wireless applications, integration with planning systems and customized monitoring options. Wireless video management is becoming the rule rather than the exception, and the ability to push and pull large video files through a wireless system is rapidly becoming essential to transit operations, as the need for video review grows at a rapid pace. 247Security continues to lead with the development of wireless management solutions that stand alone or integrate with other onboard and management technologies. The company also specializes in wide area distribution of video.